Smoke from the Camp Fire continued to smother the Bay Area on Friday and dropped the air quality in Northern California to the worst in the world, according to PurpleAir, an air quality monitoring app. The poor air prompted most public school districts in the Bay Area to close their campuses Friday. 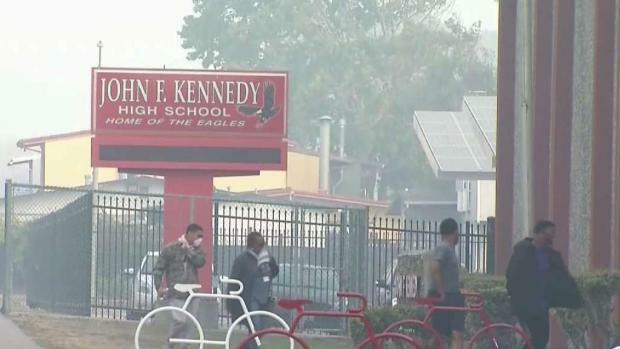 Many Bay Area school districts are canceling classes due to smoke from the Camp Fire. Pete Suratos reports. A Winter Spare the Air Alert has been extended through Tuesday. 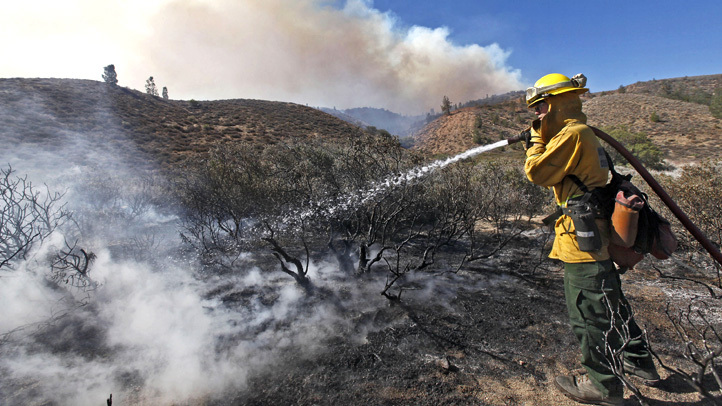 East winds blowing in the Delta were sending the smoke westward into the Bay Area, the weather service said. The smoke has forced several schools and universities in the Bay Area to shut their doors. Burning wood, including manufactured logs or any other solid fuel, indoors or outdoors is banned through Friday, the Bay Area Air Quality Management District said. The smoke was affecting visibility enough to cause delays of up to 45 minutes at San Francisco International Airport on Wednesday, according to an airport spokesman. Ten percent of the flights arriving at SFO were delayed by the haze, spokesman Doug Yakel said. The East Bay was experiencing some of the poorest visibility, the weather service said. Alameda County Public Schools announced Thursday that schools were closed Friday. All of the district schools in the county, except for Albany district, will be closed next week due to Thanksgiving. Pittsburg Unified and Contra Costa Unified School Districts also shuttered their doors Friday. San Francisco State University closed its campus Wednesday due to the smoky air and said it would remain closed through Saturday. Cal State East Bay late Wednesday announced its three campuses would be closed Thursday. San Jose State Univeristy will also be closed Thursday and Friday, officials sent a note out to students, staff and faculty Wednesday night. "The health and well-being of students, faculty and staff are of utmost importance to us; we encourage you to continue to heed the advice shared in our earlier campus message to stay safe over the next few days," the note read. Mills College in Oakland said the school will also be closed due to the poor air quality. The college's preschool, Mills College Children’s School, is also closing. 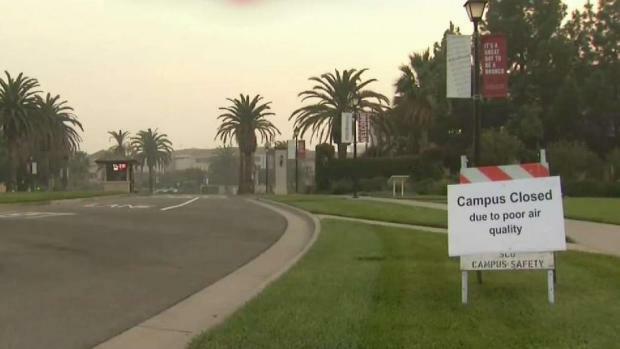 Santa Clara University announced Thursday that the school is closed Thursday and Friday. After some push backs from the students at the University of San Francisco, the university has also said it's closing the school on Friday. On Wednesday, students called the school to also follow other campuses' lead and close the school in online petition on Charge.org. Nearly 9,000 people signed the petition before the school announced its closure. While weather conditions will vary throughout the week, air quality is expected to remain unhealthy because smoke is trapped at the surface and surrounding the region, air district officials said. Bay Area residents should limit outdoor activity as much as possible on days when the alert is in effect, and should continue to listen to health information from local authorities. When air quality is unhealthy, it's best to stay indoors with doors and windows closed. 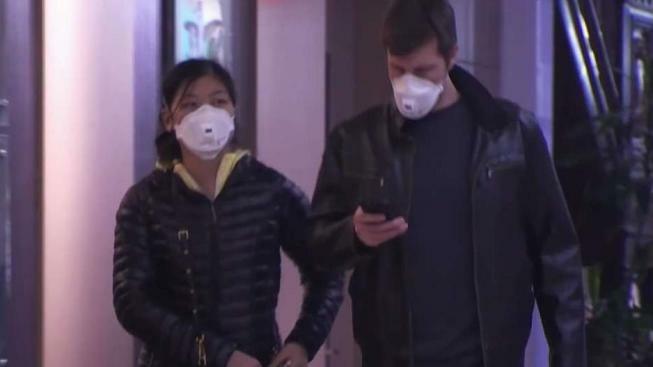 Masks should not be used instead of remaining indoors, but if worn, they should be a new, clean N95 mask or greater that's securely strapped for a tight seal. Masks aren't suitable for people with beards or young children, according to the air district.